North Sound, Antigua: England have held a crisis meeting after a second humiliation by the West Indies in as many Tests left the team worried by their poor form in a year they host the World Cup and the Ashes series against Australia, coach Trevor Bayliss said. 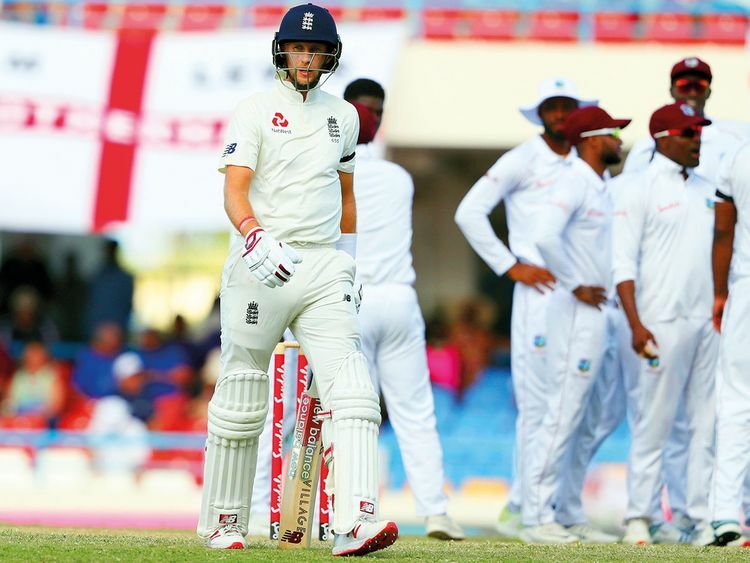 Following a 381-run defeat by the hosts in the first Test in Barbados last month, England suffered a 10-wicket thrashing in Antigua on Saturday to lose the three-match series 2-0 after only seven days of cricket. West Indies captain Jason Holder has been suspended for the third and final Test due to his team’s slow overrate. “We want to get to the root of why we haven’t played as well as we’d like. We posed some questions to them last night in the changing room and gave them 24 hours to think about it,” Bayliss told reporters. Skipper Joe Root said after their latest loss that England’s batting was to blame after managing 187 and 132 in two innings. “We haven’t seemed to have the will to fight. There have been some loose shots and other guys have been tentative,” Bayliss added. “We have a lot of guys averaging in the low thirties. In years gone by, that wouldn’t have been good enough to stay in the team.” England host the 50-overs World Cup starting in May before welcoming arch-rivals Australia in August and September. Bayliss said some batsmen in the team were more confident in the one-day game than the longest format, suggesting that they needed to strike a balance. “Some are more suited to the one-day style and still trying to come to terms with what is the best rhythm of playing their test cricket,” he added. West Indies captain Jason Holder, meanwhile, has been suspended for the third and final Test due to his team’s slow overrate during their victory in Antigua last week, the ICC announced. Cricket’s governing body banned Holder, despite the hosts playing four seamers and the regular fall of wickets as England were bowled out for 187 and 132. Holder was previously found guilty of a slow overrate during his team’s third Test defeat by Sri Lanka last June. “(Match referee) Jeff Crowe ... imposed the suspension on Holder after the Windies were ruled to be two overs short of their target after time allowances were taken into consideration,” the ICC said. The 27-year-old all-rounder, who has taken seven wickets and scored 229 runs in the series so far, was also fined 40 per cent of his match fee, while all the other Windies players were fined 20 per cent each.